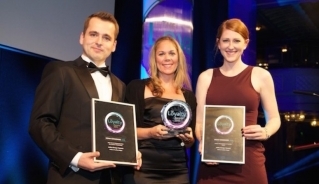 Being awarded at the Loyalty Awards 2015 is proof that Comarch Loyalty Management solutions meet the expectations and needs of consumers, and highlight that they are also recognized by loyalty and customer relationship management experts. Our experienced employees with years of practical knowledge and our individual approach to business partners are the key to the success of our projects. We are delighted that the success of both affiliate programmes was built on the foundations of Comarch solutions – says Piotr Kozłowski, Comarch CRM&MARKETING, Consulting Director. AirBaltic airlines were rewarded in two categories: Best Loyalty Programme Marketing Campaign of the Year for PINS launch and Best New Loyalty Programme of the Year, while Jet Blue airlines received the award for Best Use of Gamification to Enhance Loyalty, as well as being highly commended for the Best use of Communications in a Loyalty Programme and Loyalty Programme of the Year – Travel. 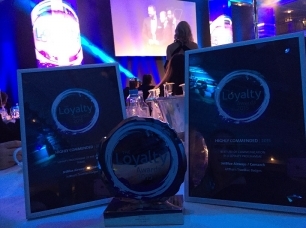 Comarch’s success at The Loyalty Awards this year follows our achievement in previous years; winning awards with our Clients London Heathrow Airport and L'Occitaine. Winning at The Loyalty awards adds to our success this year, as it is not the first time that we have been awarded for our CLM solutions. In February 2015, Azul Brazilian Airlines and JetBlue Airlines loyalty awards won prestigious awards at Loyalty 2015 conference held by Airline Business and Global Flight. Comarch Loyalty Management is a part of the Comarch CRM & Marketing platform and provides clients with cutting-edge IT solutions made for comprehensive management of loyalty programmes by enhancing customer relationships and supporting marketing activities. Comarch CRM & Marketing has been successfully implemented in over 80 projects in 29 countries around the world, supporting 215 million users and processing over 4.7 million transactions per day, with the loyalty platform recognized as one of the leading global solutions by Gartner. The airlines that have chosen Comarch Loyalty Management include: JetBlue Airways, Azul Airways and S7, Brussels Airlines, CEBU Pacific.